Fed Up or Fed Down? Home / Blog / Fed Up or Fed Down? On May 7, 2014, Fed Chairwoman, Janet Yellen, testified before Congress and provided information on a host of issues relevant to all of our businesses. Ms. Yellen found that business is rebounding at a fast pace and making up for the loss of business in the first quarter of 2014 which was down primarily due to the harsh weather experienced during that time. Ms. Yellen would not comment on when interest rates would be raised. However, the point is that interest rates will continue to remain low for the foreseeable future. Obviously with budget deficits as large as they are within the Federal Government, it will be difficult to pay a higher rate on government debt should rates rise with so much short-term government debt outstanding. Ms. Yellen was bullish on the stock market and indicated that there is no bubble as a result of the Fed’s policies. She did indicate that certain sectors may be reaching historic highs, but there is no risk to the overall financial system or the stock market from these pockets that may have higher than normal price-earnings ratio and valuations. 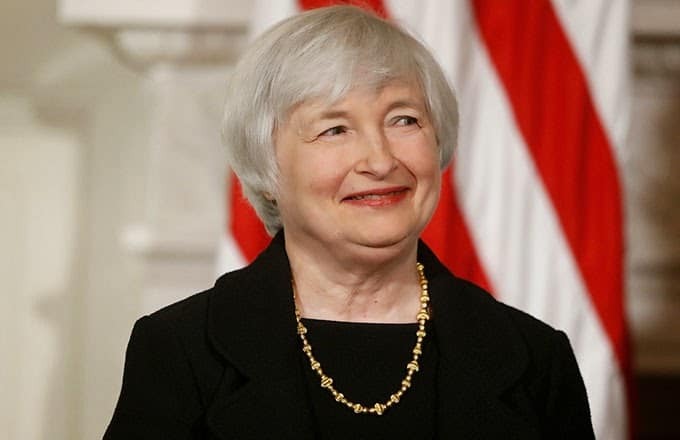 Ms. Yellen extolled the benefits the Fed’s policy has had in the housing market. She equated the Fed’s policy to bring back wealth to many citizens who are homeowners but were once underwater as a result of the financial crisis. She expressed concerns about the job market because the unemployment rate, when combined with the labor force participation rate, demonstrates that the employment market is not healthy. She sites that those unemployed for at least six months and those working part time but would prefer a full-time job, are at historic highs. What does this mean to you as a small business owner? Many opportunities are available to grow your business; the economy is making up for lost time due to the weather related slowdown in the first quarter of 2014. There are plenty of workers out there looking for full-time jobs that pay well. The labor force will support your expansion. Low interest rates means that banks will not be taking on risks associated with funding to small businesses. Just for fun, what does this mean to you as a person? If you don’t own a home maybe it’s a good time to buy one if you can afford it. If you’re a gambler, try your hand at the stock market, as the Fed will continue to support it with excess liquidity. Now is the time to arrange a spot factoring facility with a company like Capstone Capital Group, LLC for your working capital needs to fund your expansion and increased staffing costs.